A notorious Islamophobe teamed up with arms dealers at ITOA, a Chicago-area SWAT gathering. We told its host, Stonegate: "Don't Host Hate!" From October 9–13th, the Illinois Tactical Officers Association Conference (ITOA) profited off a growing culture of fear. ITOA's keynote speaker was anti-Muslim bigot and Fox News regular Dr. Sebastian Gorka, a self-proclaimed counterterrorism expert who has advised the CIA as well as Trump's campaign. 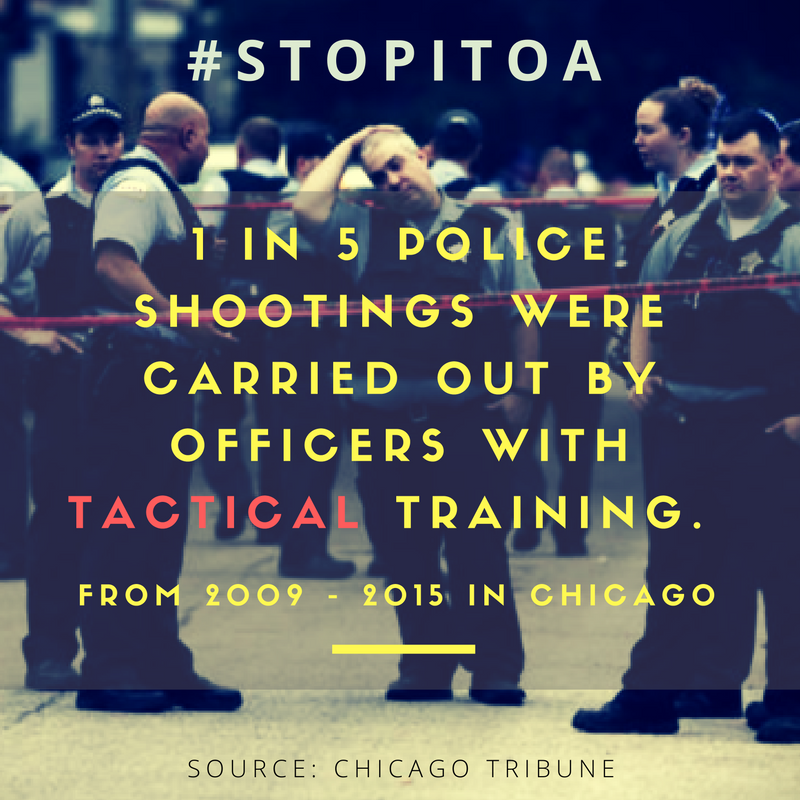 ITOA has historically collaborated with the brutal Chicago PD and Cook County Department of Homeland Security for tactical trainings. 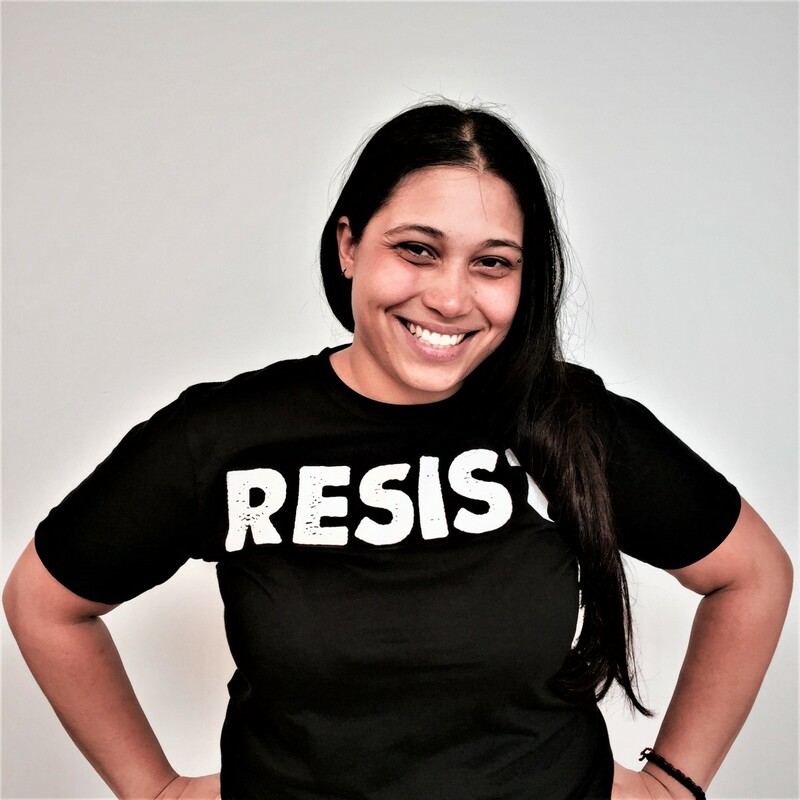 UPDATE: PRESS Coverage from our Day of Action & more! 4. Share these Stop ITOA memes! ITOA's impact reached far beyond Chicagoland. With police departments and DHS agents from around the country, ITOA sets a precedent for police militarization nationally. Just as these SWAT trainings are national, so is our growing movement! From the Bay Area to upstate NY, coalitions demand resources be put towards community needs, not fear profiteers and weapons dealers. Stand with us to Fund Peace, Not Police! ITOA's 29th annual conference was set for October 9–13th at the Stonegate Conference and Banquet Center in Hoffman Estates, Illinois. By hosting ITOA, Stonegate enabled racism and repression, partnering with companies like Safariland, ITOA's central sponsor, and maker of tear gas canisters that have harmed millions around the world. Even more disturbing, Charles Baptist, Stonegate's General Manager, refused to take action regarding the venue's complicity in housing a hyper-militarized conference rampant with Islamophobia. Instead, Baptist suggested that profits would be placed over community concern and safety. "If David Duke wanted to throw a birthday party here," he told CAIR-Chicago in a recent meeting, "why would I say no?" As part of the growing movement against policing, we call for the immediate cancellation of the 2016 ITOA Tactical Training Conference. We also call on Cook County Board President Toni Preckwinkle to end Cook County’s relationship with ITOA. 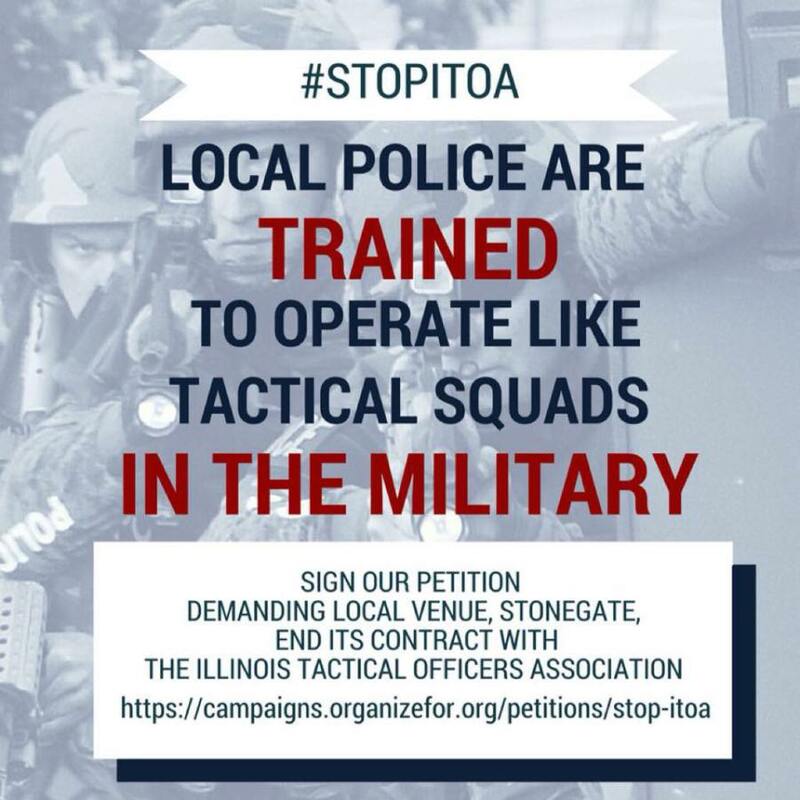 Join us in demanding an end to ITOA’s training of law enforcement and EMTs from around Cook County and the Midwest in SWAT tactics. 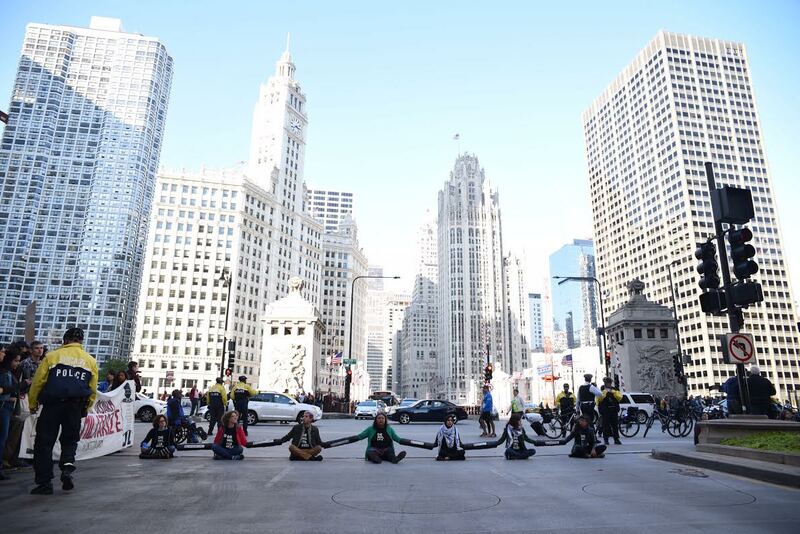 We demand that Cook County and the City of Chicago prioritize spending for human needs, including mental health care and education – not militarization and violence.